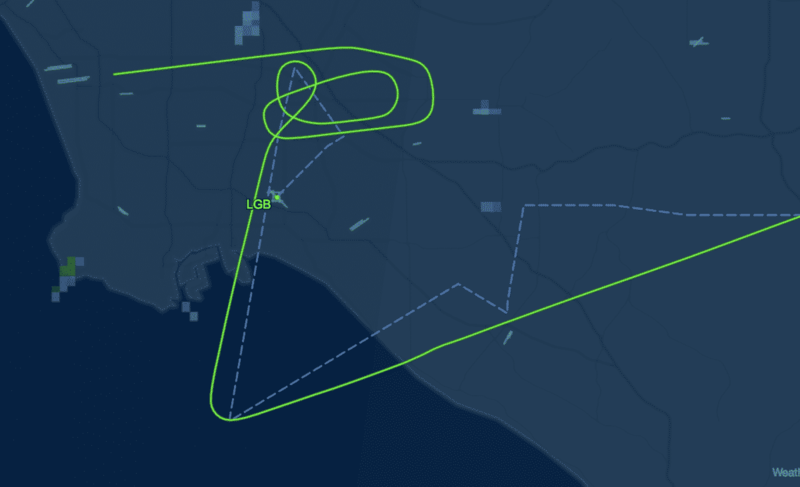 Flight 213's path as it approached Southern California and diverted to LAX for an emergency landing. Courtesy of Flightaware.com. A JetBlue flight from New York City to Long Beach has landed safely after diverting to Los Angeles International Airport. Federal Aviation Administration spokesman Ian Gregor says Flight 213 from John F. Kennedy International Airport to Long Beach Airport declared an emergency due to a flap issue and diverted to LAX. The plane landed without incident around 9:57 a.m.
An email seeking further information on the problem was sent to JetBlue.